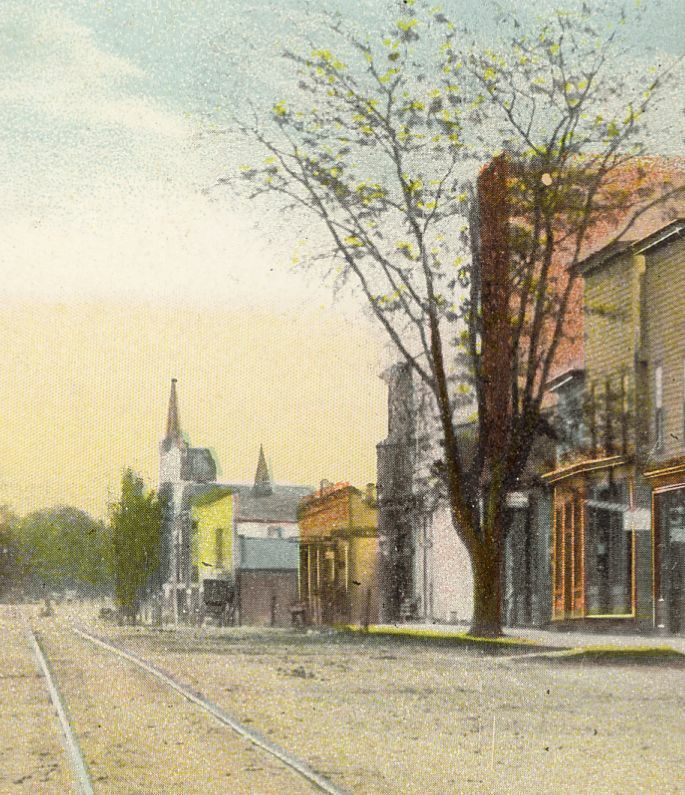 A westward view of Savidge St from Division from a postcard postmarked 1911. Histories of Spring Lake and the Tri-Cities area written by a variety of local residents are available in our online archives. Searchable PDFs can be accessed within the library or outside the library. Some resources are exclusive to the in-house link. Dr. Wally Ewing, a lifelong resident of the Tri-Cities, has compiled directories of prominent people, places, businesses and various topics that have played an important part in the development of Northwest Ottawa County. The directories are available in PDF format for download. Digital Sanborn Maps are available from within the library. These fire insurance maps from 1867-1970 show the history and growth of Spring Lake, Grand Haven, and other Michigan towns. The Sherm Gleason Memoirs were written by a longtime resident of Spring Lake and Crockery Township. Gleason wrote articles and reminiscences of the area. Grand Haven Tribune Archives cover the period July 8, 2005-December 31, 2016. The archives can only be accessed from within the library. Materials in the Local History Room are available for use by appointment only. Visitors should make a request for research time at least 3 business days in advance. Access is available Monday through Friday between 9:30 a.m. and 5 p.m. Visits at other times during library open hours may be possible, but the library can not guarantee that these materials will be accessible during all library hours. A valid Photo ID (driver’s license, state ID, passport) is necessary to request use of these materials. A copy of ID will be made by staff. Visitors must be 10 years or older, and each minor must be accompanied by an adult. Materials may be used only under supervision of library staff. Researchers are allowed to examine one item at a time. Some materials may require special handling only by staff members. Photographs and photocopies may be allowed under the supervision of library staff. Due to staffing constraints, each visitor is allowed four hours per month of supervised use unless special arrangements have been made in advance. Please call or email to arrange a research appointment.